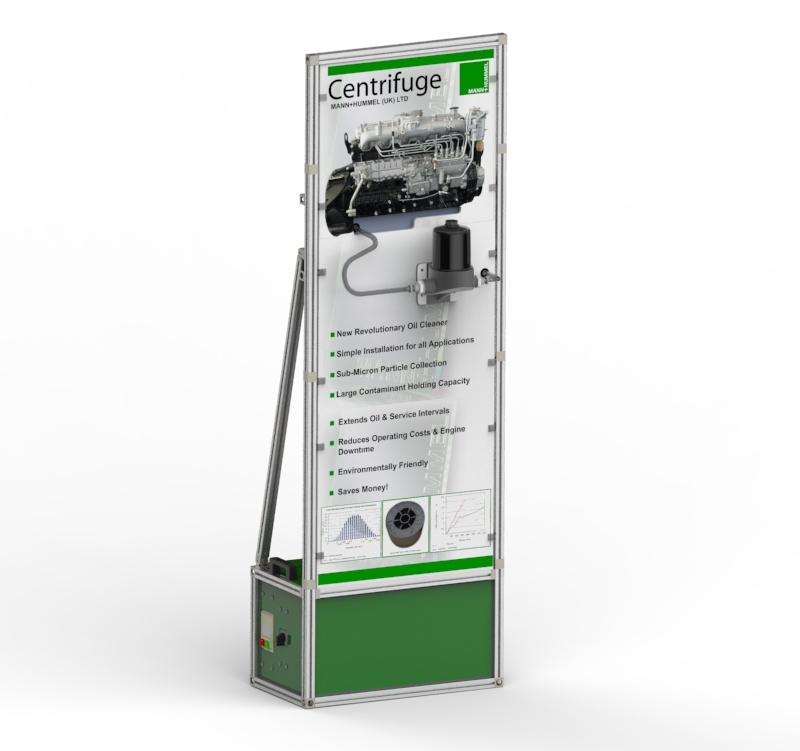 This stand was designed and manufactured to demonstrate the novel features of a new centrifuge facilitating remote mounting options. The oil system loop from the sump to the centrifuge was simulated while still giving the product centre stage. Consideration was given to aesthetics, set up times, weight and size when developing the stand.